Do Nurses Need Medical Malpractice Insurance? Nurses in hospitals and clinic settings take care of many tasks and are on the front lines of health care. When a negative medical outcome occurs, both nurses and doctors may find themselves facing legal claims. While doctors carry medical malpractice insurance, however, many nurses do not carry professional liability insurance. If you are a nurse or nurse practitioner, it is important to have the right policy in place. Do Nurses Need Malpractice Insurance? Even though nurses work for hospitals and other providers, the insurance offered by these organizations will not always offer protection for nurse practitioners and nurses. An employer, such as a hospital, may also sue a nurse if negligence is alleged to recoup the money spent on a defense. In addition, if an employer goes bankrupt, a nurse may not be fully covered. Malpractice insurance covers nurses in all these situations and more. This type of coverage helps pay for any judgment or settlement in a legal claim and pays for defense legal costs, up to the limits of the policy. 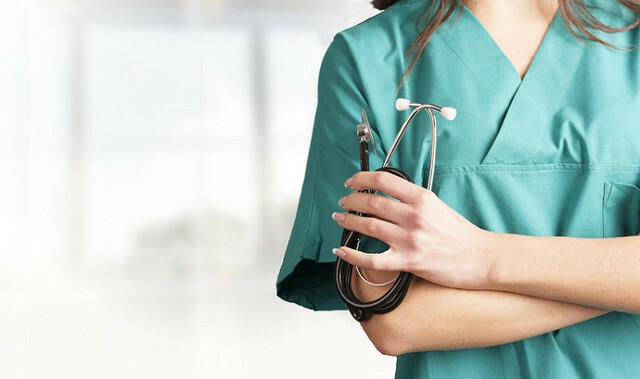 Nurses can also seek policies with licensure defense coverage, which offers protection if a nurse is brought before a board or other governing body. Do Nurse Practitioners Need Malpractice Insurance? There are many reasons nurse practitioners may need liability insurance for themselves. Nurses who want to have someone in their corner may feel more peace of mind with their own coverage. In addition, any work done outside a setting with an employer may not be covered by an employer. For example, if a nurse practitioner stops to help someone in distress outside of work hours or decides to volunteer his or her time, these activities may not be covered and a professional liability policy may be necessary. With many nurses volunteering at free clinics or other organizations, good personal liability coverage is important. This type of insurance may also be important if a nurse practitioner changes jobs and is no longer covered by their employer policy. In addition, not every employer policy provides all the coverage a nurse practitioner may wish for. Getting their own policy allows a nurse practitioner to pick and choose exactly the type of coverage they need. Nurses and nurse practitioners benefit from malpractice insurance — and in many cases, such a policy may be very affordable if there is already coverage under an employer’s policy. While nurses work hard and you may believe being professional and good at your job may protect you, the reality is that false claims are made and anyone can make an error. Even the best nurses can be named in a legal claim, and being able to secure a good defense and pay for settlements of judgments ensures you can continue to work and provide the best care for your patients. Contact Gallagher Healthcare for a quote to find out more about our Medical Malpractice Insurance for Nurses. Gallagher Healthcare understands the needs of nurses and we can help you find the right coverage for you.